Every single industry across the United States and around the world has been impacted by technology. More specifically, advanced online technology in conjunction with the internet. This evolution over the past few decades has dramatically changed the way we do business today. It was not that long ago that gambling at a casino resort was limited to the state of Nevada. Las Vegas quickly grew to become the gambling capital of the world with some of the biggest and most famous casino resorts on the famous Strip. These days, gambling has not only expanded across the country through land-based casino resorts and race tracks. It is now available wherever there is access to the internet. Las Vegas was also known as the sports betting capital of the world for its proliferation of land-based sportsbooks located in most casino resorts. Sports betting also existed online with the expansion of offshore sportsbooks in certain Caribbean and Central America countries in the early 1990’s. Many of these books successfully tapped into the US sports betting market despite the federal government’s attempts to prohibit sports betting in the country. Along with land-based books in Las Vegas and online through a wide variety offshore books, the local bookie still commanded the lion’s share of the revenue generated by people betting on sports. The tools of the trade early in the private bookie industry were a phone, paper and pen. Their primary market consisted of local bars, social clubs and pool halls. Flash forward to today’s sports betting industry in the US and nothing has really changed except how sports bets are placed. Recent changes in the law have opened the gateway to land-based sports betting in a number of states such as New Jersey, Delaware, Mississippi and Pennsylvania with many more to come. The online sportsbook business is still booming with a grocery list of options for US players. However, the biggest share of the sports betting market still belongs to the private bookie with the help of an online sports betting software solutions provider. The main reason why independent bookmakers still dominate the sports betting industry is the online business model for booking bets. 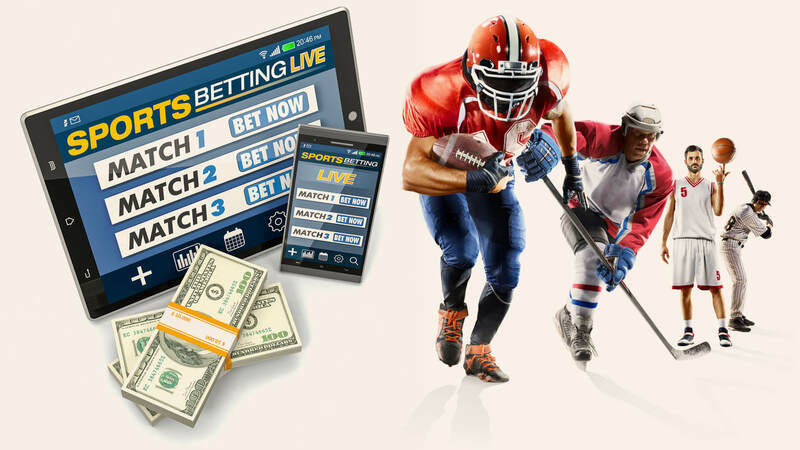 Just as the offshore sportsbooks developed specific software applications to take their business online, other software developers turned their attention to online sports betting solutions tailored towards a private bookie. Known as “Pay Per Head”, a private bookie can contract all the business tools needed to run their operations online. The startup cost is minimal and the proper bookie software solutions can be obtained for a low, weekly fee for each active sports betting customers. Also known as price per head shops, these bookie software solutions have specifically been designed to help the private bookmaker level the playing field with the big commercial online sportsbooks. Continuing advances in pay per head sports betting software have further refined the entire process to help fuel growth in this segment of the sports betting industry. Today’s highly sophisticated sports bettor is looking for a higher level of customer service and attention to detail that a private bookie can provide and a big books could never match. The typical pay per head site will present their online sports betting software solutions package in terms of features and benefits. Once a bookie business goes online with a pay per head provider, the entire process of booking bets becomes completely automated and turnkey on a 24-hour a day basis, every day of the year. All the vital information is stored on a database that is operated with a very high level of redundancy. The operating system is also designed with security features that ensure that every online transaction is completed in a safe and secure manner. Successfully running and managing an independent sportsbook still takes hard work and dedication. A quality pay per head provider can fill the role of the silent business partner handling the operational end of things. This will free up more time for building and growing the business with a specific marketing plan. The best price per head shops in business today understand the concept that their future financial health and prosperity is directly tied to their bookie agent’s long-term success. What really adds value to the pay per head business model for private bookies is software applications that can generate multiple streams of revenue. As part of the weekly fee paid for active sports betting customers, the private bookie can expand their services to horse betting with an online racebook as well as casino gambling with online access to slots, video poker and table games. One way that a private bookie can level the playing field with the big online sportsbooks is by becoming a full-service bookmaker. Along with an expended sports betting board with a wide variety of options, a racebook for horses and an online casino covers any customer’s online gambling needs. Offering all three online gambling services is also the perfect way to fill the seasonal gaps in the sports betting calendar. Horse betting is a year-round activity given the sheer number of race tracks running a daily card in North America alone. Online casino gambling mirrors a land-based venue with slots, video poker and other electronic gambling games. The fastest growing segment of gambling online is specialized software offering access to live-dealer table games. Customers can interact with an actual dealer as well as other players at their table. Blackjack, Roulette and Baccarat are the three biggest live-dealer offerings. It would be next to impossible for any private bookie to duplicate the gambling software applications offered by pay per head services given the prohibitive start-up cost. The barriers to entry becoming a private bookie are extremely low as compared to starting any number of other independent businesses. The low, weekly price per head fee is a highly cost-effective way to acquire all the necessary business tools needed to run a sports bookmaking business. Any apprehension towards taking a start-up bookie business online can easily be resolved by taking these pay per head software solutions for a test drive. Most quality PPH services offer a free trial period to decide if their software solutions are a good fit for a bookie’s specific business needs. Most of these online sports betting software packages are turnkey and extremely easy to navigate. As a big plus, they are also supported by a trained customer service teams with experience in the online sports betting industry. After doing business with Pay Per Head 247 for more than 4 years, I can honestly say that their service is outstanding. Thanks Pay Per Head 247 for the great service!